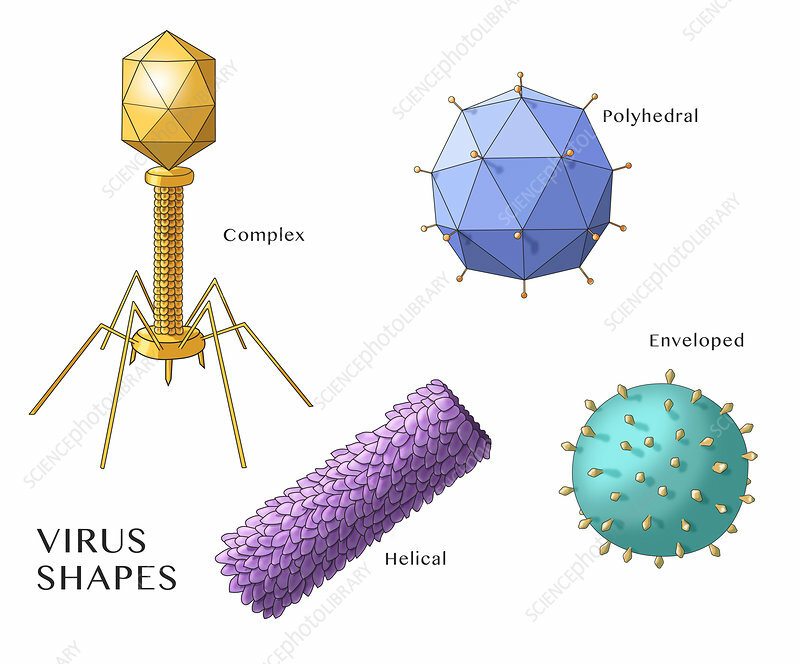 Different types of virus shapes. Complex, Polyhedral, Helical and Enveloped. Illustration.